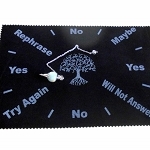 Green Tree of Life altar cloth that can be used for your sacred crystal space or for crystal grids. The Tree of Life represents the interconnection between all life on our planet. 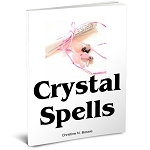 It unites heaven and earth and is honored as a universal symbol for healing, growth, the seasons of life, and the magical qualities of nature. 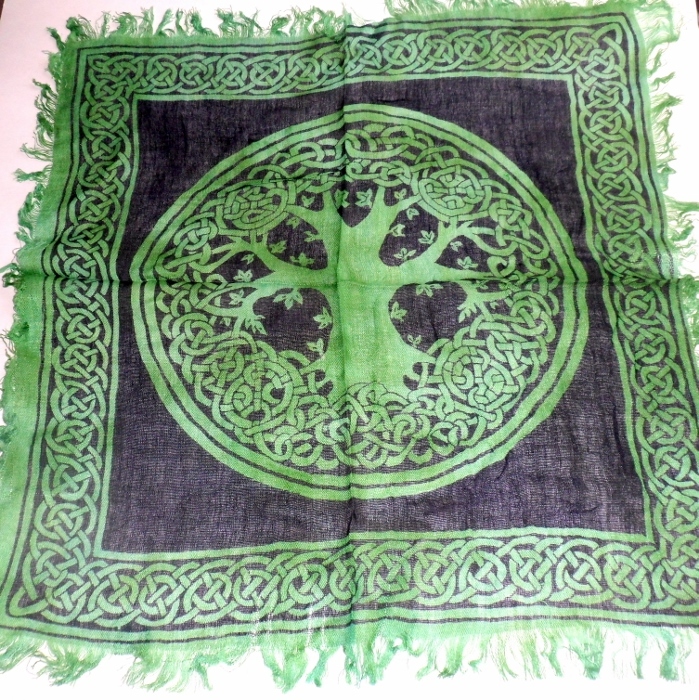 The Tree of Life cloth is approximately 18 inches by 18 inches, 100% rayon, made in India. 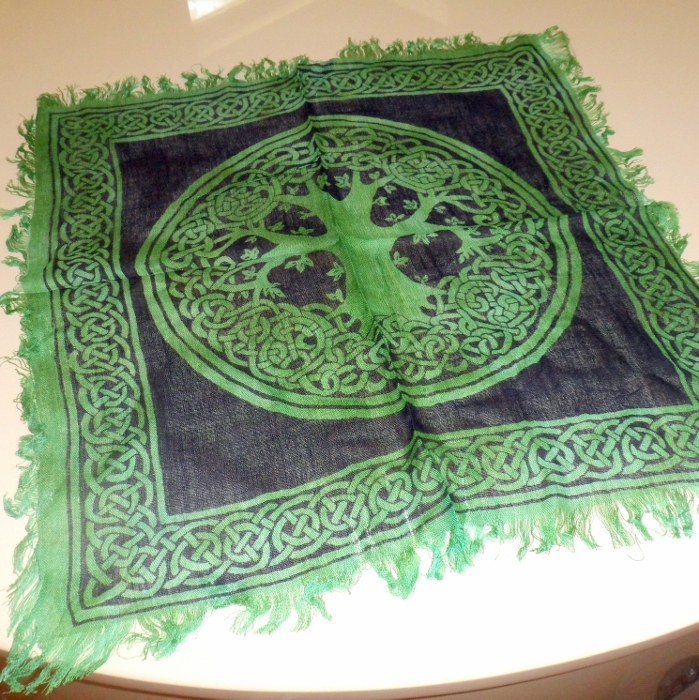 There is a celtic knot design around the border of the cloth.